What is the best binary options trading strategy? This is probably one of the most commonly asked questions that every trader has on mind. And to be completely honest that was exactly what I was looking to find myself when I first stepped into Binary options market. I still remember that I was quite confused and I was jumping from one tutorial to another and keep hoping to find the best strategy that would guaranteed you almost 100% win or at least to enable me to win more times than I lose. And it’s a shame that it took me a while to realize that such type of trading strategy simply don’t exist. 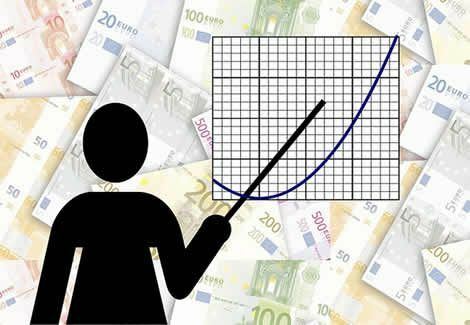 Having said that, there are several binary options trading strategies, which can be used by those who want to begin trading binary options, in order to increase their probabilities and make a consistent income every month. In this article, we’ll explore one of the most popular strategies for doing this, and that is the Knock-on Effect strategy or Market Pull Strategy as it is also known among the binary options traders. The Knock-on Effect strategy is based on the principle that a movement of a certain option will have an effect – a knock-on effect – on another option. Because of the way it is applied and the elements used in coming up with the strategy, Knock-on Effect strategy is arguably one of the most logical to use with certain degree of certainty. As previously mentioned, one of the great advantages of trading binary options is the sheer number of assets you have at your disposal. Unlike forex traders who are limited to only trading currency pairs, a binary trader can lock in trades across 4 asset classes, including currencies, stocks, commodities and indices. This allows binary traders to trade on correlated assets, thus effectively doubling or even tripling the number of potential trades they have available to them. Correlations occur when the price action of one asset directly affects that of another asset. By monitoring these financial market interrelations, a binary options trader can then place a CALL or PUT option based on changes one asset may experience, which lead to changes in the other asset as well. Clearly the only way to set Knock-on Effect strategy effectively is for a trader to develop an understanding of the different relationships that the various assets have and that is not an easy task especially for inexperienced traders. There are many interrelationships to consider, some more difficult than others and some more consistent than others. However, gaining some knowledge and understanding about those assets correlations make the forecasting of price movement much simpler and increase the odds of successful trades. Let’s have a look at some combinations where a price movement in one asset can be used to predict the direction of the other. Historically the U.S dollar and gold are inversely correlated. This means that when the dollar rises in value the price of gold drops, and vice versa. Gold is a safe haven asset which attracts investment at times of financial instability and is also used as a hedge against inflation. The U.S dollar on the other hand is the world’s reserve currency and is essential for global trade. Put simply, when the global economy is healthy USD is up and gold is down, when the markets are in turmoil gold is up and USD is down. This relationship is not set in stone, nevertheless it has proven to be quite stable historically. Currency traders can take advantage of a useful surrogate for the USD/Gold relationship in USD/CHF. The Swiss Franc is positively correlated with gold due to 25% of the Swiss francs in circulation being backed by gold reserves. So binary traders can place trades on gold as well as USD/CHF. USD/AUD is another currency pair that takes advantage of the gold’s negative correlation with the U.S dollar. The Aussie is positively correlated with gold due to Australia being a major gold exporter, so when the demand for gold increases, so does the value of the Aussie. Figure 1 shows the clearly inverse correlation between gold and the U.S. dollar in the last 30 years. Based on the historical relationship, when gold prices go up, USD falls and when gold prices go down, USD rises. More background information can be found in our articles Fundamental Analysis : The U.S Dollar and Fundamental Analysis : Gold Relationships. Oil is essential for global productivity and growth. It is used in industry as well as for the transportation of goods and produce across the globe. One of the best established oil correlations is USD/CAD. This is because Canada is one of the largest oil exporters in the world and the US imports most of its oil from its Northern neighbour. Consequently when oil rises in value the Canadian dollar strengthens against the U.S dollar and when it drops the U.S dollar gains ground against the Canadian dollar. Figure 2 shows the clearly positive relationship between oil and the Canadian Dollar. Based on the historical relationship, when oil prices go up, USD/CAD falls and when oil prices go down, USD/CAD rises. Copper is an essential industrial metal which allows binary traders to trade directly on Chinese economic growth or contraction. This is because China is a major importer of copper and Australia a major exporter. When China is experiencing growth the demand and value of copper goes up, as does the AUD/USD pair. Both of these assets are also positively correlated with the value of the Shanghai index, providing binary traders with a useful commodity, currency and index correlation to trade on. 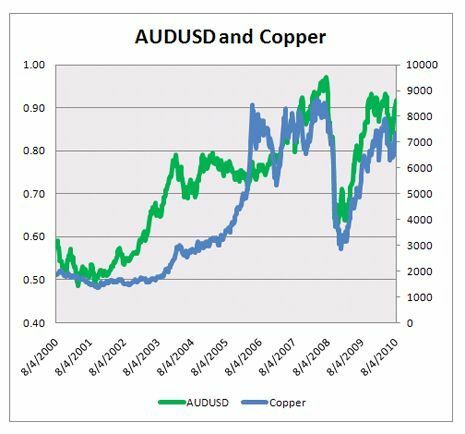 Figure 3 shows the clearly positive relationship between copper and AUD/USD. Based on the historical relationship, when copper prices go up, AUD/USD falls and when copper prices go down, AUD/USD rises. First of all someone should bear in mind that despite the fact that Market Pull strategy may appear to be a rapid way to earn cash, a very good understanding is needed in determining which asset you want to trade and how those assets are affected by various events. You’ll have to devote some time to analyzing each asset prior to entering into a trading contract and you must explore the economic landscape in order to find evidence for why the historical correlation between two assets will continue to hold true for the trades they will subsequently place. Knowing the relationships is the key, but so is knowing when the relationships break down. Secondly, as with every new endeavour, getting started with this binary options strategy is a demanding task. Mostly traders are concerned that their short in duration option contracts will prevent them to get an insight of what is happening with their asset prices at all times. The key to success that dramatically improve your profits in this market using the above strategy is by blending good analysis with effective implementation and most of the traders simply do not have enough resources and time to do so. As previously explained, binary options knock-on strategy does require a time commitment, yet when executed correctly, the Market Pull technique is by far the most effective way to make money trading binary options. For any newbie or skilled day trader, making the decision when to get in or out of a trade using Knock-on Effect strategy is based on both technical analysis and fundamental analysis as there is a significant impact of World events and market news in trade balance announcements on prices of assets and such analysis will help to get an understanding on how a price change in one asset will affect the price of another. Having said that, knock-on strategy is learned behaviour that almost becomes unconscious and automatic over time and Binary options traders will certainly not want to overlook the power of this strategy. Those who use this strategy many times, they become immune to the pressure associated with decision making and extremely intuitive about the process of making the most strategic and best decisions regarding which contracts to purchase when a specific asset price is likely to fall or rise. This strategy can also be combined with various hedging strategies to further maximize long-term trading profits.